EcoMatelas has created the first world process for refurbished and fully recycled mattresses and bed bases. In just 2 years, EcoMatelas has already recycled and re-used more than 6000 old mattresses and bed bases which were meant to be incinerated or put underground; two solutions that are not eco-friendly as foams of mattresses take about 100 years to biodegrade). Thanks to its innovating process, EcoMatelas has created a local network to collect thousands of mattresses and beds at the end of their life, with the goal of re-using them. EcoMatelas refurbishes them in a factory located near Montpelier in the south of France, and once ready, they are sold locally. It is a virtuous circle in which all materials of mattresses and bed bases are re-used instead of being throwed, and they are sold locally for a minimum footprint. These mattresses and bed bases are ecological, and after being refurbished they get back as if they were almost brand new. Moreover, EcoMatelas has more than 500 customer reviews online with 5/5 stars! Mattresses and bed bases are the most complex waste within the furniture sector. In fact, these wastes are very large and take a lot of space, and they are not easy to stock. For industrials, it is a real pain to manage them. In France, only 20% of the mattresses and bed bases are recycled (for acoustic or thermic isolation for example), and the 80% left are either buried underground or incinerated. In the first case, it takes about 100 years for these objects to biodegrade naturally, and in the second one, the foam that constitutes the mattresses releases toxic substances. The European Commission and the French government have been looking for other solutions in the field of circular economy, and have pushed it with subventions for years. EcoMatelas is completely into this target, as we re-use thousands of old mattresses and bed bases to refurbish them, and give them a second life! We have already recycled about 400 tons of raw materials since 2017, which is the equivalent of 5 tons of CO2 non released. The main challenges for EcoMatelas is the collection of those old mattresses and bed bases. As a matter of fact, we have more demand than available stocks. For now, we don’t collect enough raw material to supply the demand. 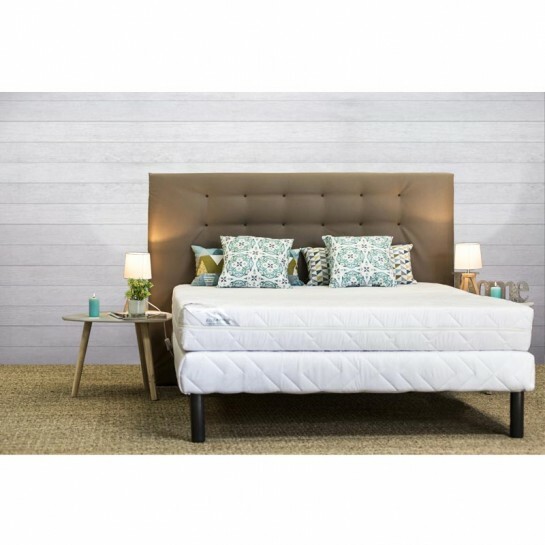 In France two eco-organisms are responsible for the collection at the national level of all mattresses and bed bases, and they are financed with an eco-tax which customers pay when they buy the furniture. However, it is highly political, and entering in a relationship with those actors is a real challenge. First, you have to be spotted by these actors, and then you have to respond to a public tender. For now, we couldn’t really approach them, and this is a shame knowing that all public institutions are pushing for more solutions of reuse, but we actually struggle to get old mattresses and bed bases to recycle.